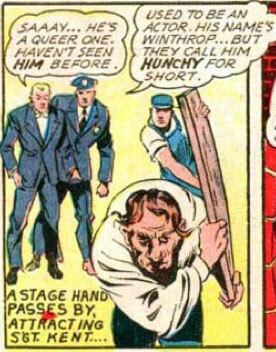 Hunchy is Short for Winthrop. Hunchy works by intuition alone! So this comic includes Hunchy, Limpy, Bullet Man and Bullet Girl. Name FAIL.